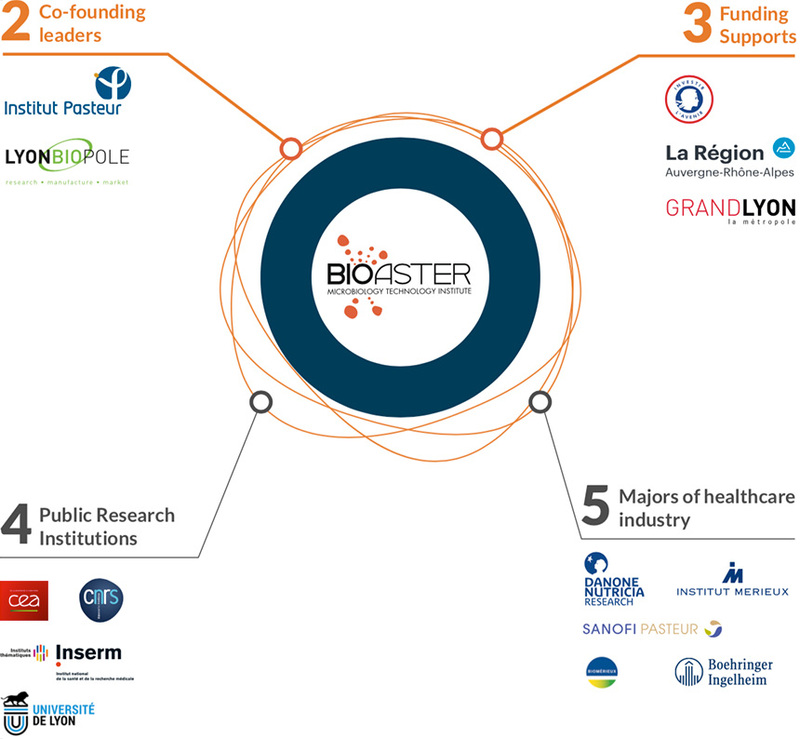 Creation of BIOASTER following the initiative of the French government by the lnstitut Pasteur and Lyonbiopole health competitiveness cluster. Following by CEA, CNRS & INSERM as public founders and then Danone Research, SANOFI-Pasteur, Institut Mérieux for industrial founders. Boehringer Ingelheim, BioMérieux & the Université De Lyon became new founders of BIOASTER foundation.